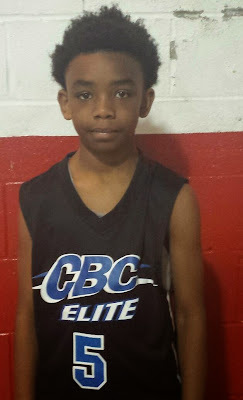 BASKETBALL SPOTLIGHT NEWS: Basketball Spotlight Feature: (J5) Striving For Future Phenom Camp! Basketball Spotlight Feature: (J5) Striving For Future Phenom Camp! Jordan (J5) McPhatter has been a nationally known commodity for years and this spark plug is just as dangerous in 2014 as he has been in past years if not more - in the open court and in one on one set’s; there wasn’t anyone he can’t beat off the dribble. His jumper creates even more problems that allow him to operate in space, as his range extends well beyond the 3-point stripe. With the ball on a string J5 will make himself look good while making his defender look bad; not a showboat flyer simply a player who plays with a productive flair that gets the job done. J5 is not your prototypical lead guard; though he is exceptional in this role as well, J5 can flat out get it as scorer and puts constant pressure on his man and on the defense with the pass or penetration. He may be small but no player plays with a bigger heart or chip on his shoulder, one of the most respected ball players in the class of 2020 J5 will be coming to the Spotlight to show he should still be in the conversation not as the top PG but as one of the nation’s best players. This is another example in another class, this time 2020, of the type of talent that will be stepping onto the court at the Future Phenom Basketball Spotlight Camp August 23rd and 24th; without question there will be no breaks or games off all weekend long as each and every player in attendance possess a clear and present danger to their opponent. Moody Park MS Summer League All Star Game Recap! Team RIO National Storms Through Vegas! The Coach Francis Show Is Flooding The Airways!